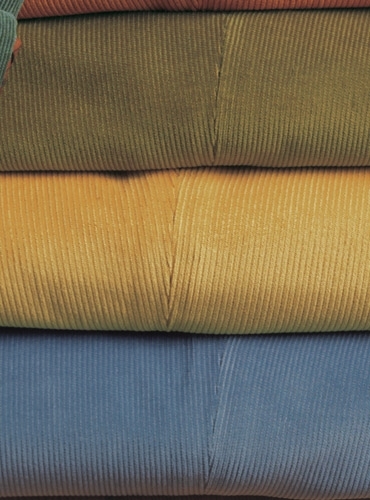 Our softest corduroy pants ever, in a wide range of exceptional color, are available in either HPCF-forward pleat or HPCP-plain front, and in sizes 32–44 even and 33–39 odd. 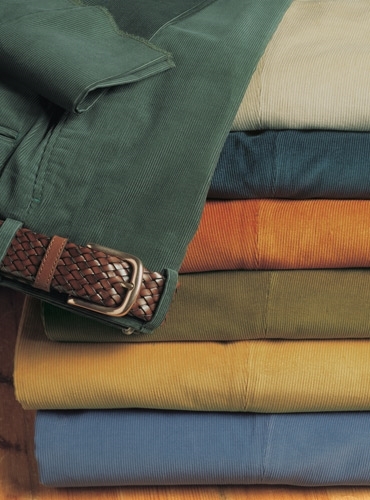 Made with the same exacting details as all of our dress trousers, and just as suited to a sport coat as a sweater. 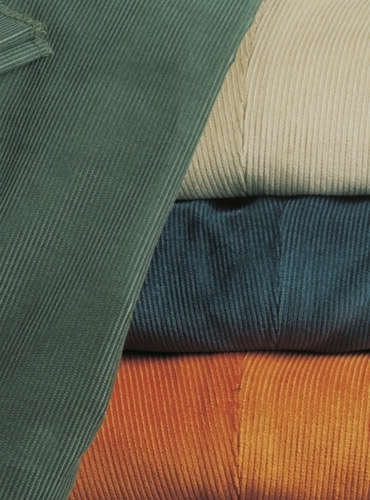 Shown from top to bottom: B-bottle green; F-stone; G-teal; D-ginger; E-tobacco; C-corn; A-cornflower blue. Our basketweave leather belt is a handsome touch.